Teddy Bear is a plush bear toy and his story is older than 100 years. Toy bears have appeared almost simultaneously in the USA and Germany. In November, 1902 US president Theodor Roosevelt was hunting for black bear around the Mississippi. Hunting was not successful. Wishing to please him the huntsman have caught a bear cub tied it to a tree and offered to shoot it but Roosevelt has refused such dishonorable offer. The touching story has quickly spread all over the country. Owners of small store Morris and Rose Michtom (originally Russian) made a bear named it in honor of Roosevelt Teddy Bear and put in a shop show-window. It was sold immediately. Demand for bear was so high, that Michtoms had to establish a company producing bear toys. At the same time in Germany, Gingen, family Schteif at the small enterprise was producing very popular plush toys. The owner Margaret Schteif's nephew Richard who was working as the artist of the firm, looked for new ideas while watching bears in circus. 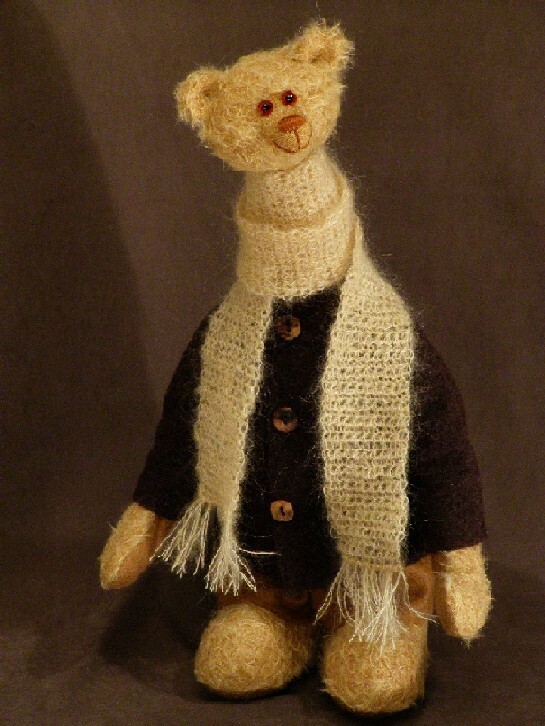 Suddenly he was struck by the idea to make a toy bear that would be like a doll: it should be standing on the back legs and move head and paws. Few months’ latter company Schteif have presented a pre-production model of a bear at the Leipzig fair. In the last day of the fair one American businessman has ordered 3000 copies of the toy. So travelling of Teddy Bear on the planet has begun. Later plush was replaced with mohair, and button eyes were replaced with glass eyes, sawdust has replaced fibromas, rope fastenings of paws were replaced with the disk ones. The bear has not changed only. Even after 100 years it is one of the most favorite and known toys in the world. It is soft and warm, and no electronics will replace it because it really has a soul.